Take Advantage of Roofing Market Tendencies. While market patterns vary from one contractor to the next, spring is generally a slower time of year. The arrival of warmer weather gives many people the impetus to put off necessary repairs until summer, giving them the added months to come up with the money needed to get the job done. Others scramble to address problems in the fall, in advance of the wild weather winter can bring. During the spring, many contractors experience lulls in business. In an effort to keep things rolling along, they may offer promotional deals and discounts. Competition for business intensifies, and best of all, you’ll generally have more choice when it comes to selecting a contractor, as companies that would otherwise be busy during the summer and fall may be available due to the springtime seasonal downturn. As an added bonus, contractors will usually be able to complete your roofing repairs or installation more quickly in the spring, since their resources aren’t depleted by a large backlog of jobs. Beyond the convenience, this can also save you money on labor costs, since the contractor will be in and out in less time. Moreover, contractors will usually be available to get started sooner; during busier times of year, you may have to wait weeks or months before the repair and installation processes can begin. Enjoy Superior Performance from Your Roofing Materials. Many fundamental roofing materials, from adhesives and fasteners to shingles and wooden frames, are temperature-sensitive. 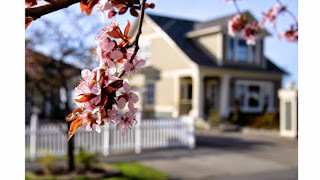 If the weather is too cold or too hot, these materials may not perform optimally; the mild temperatures of spring create optimal conditions for installing a new roof while allowing the materials to settle before summer’s arrival. Trudel and Sons Roofing Offers Superb Workmanship. When you’re ready to replace your roof, call the licensed roofing experts at Trudel Roofing. We never take shortcuts and ensure every step is done right! We are a family owned and operated local Stouffville roofing contractor with more than 30 years in business. We specialize in roof repair and roof replacement in Ontario, and our work is 100% guaranteed.